Native plantings in vertical garden for residential client in Melbourne. Greenly constructs vertical gardens and rooftop gardens. Depending on the size and complexity of the job you may require a building permit for the work. We can guide you through this process of you can tackle it yourself. If we are building on a existing structure our first step is determining whether that structure can safely take the load of a vertical or rooftop garden. Typically we'll ask you to arrange that a structural engineer provide the tick of approval however we can arrange this for you. Depending on your project you may desire a specific certification of the work completed. We can work with you to achieve this and ensure the work meets that certification. Installation of vertical and rooftop gardens requires collaboration with other trades and specialists. We have our own network we can utilise if needed on you project or work with existing trades and specialists you have identified already. 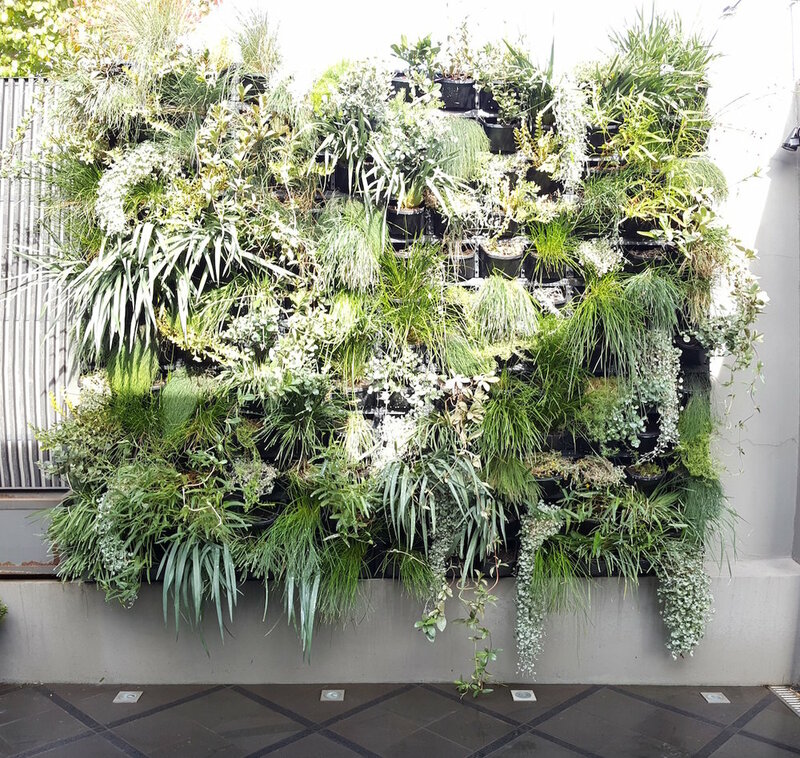 Creating vertical gardens and rooftop gardens can occasionally require high risk work. Our team is trained in OH&S and ensures all potential risks are managed effectively. We create vertical and rooftop gardens to improve our environment, not damage it. Our team go out of their way to protect the natural environment during construction.